What is a split system air conditioner? Any air conditioning system where the compressor unit and the fan coil unit are separated. It’s mostly used to describe a high-wall, room air conditioner, where the fan coil (head) unit is mounted on the internal wall of the room and the compressor unit is mounted outside. What is a ducted air conditioner? These are highly efficient systems. Cooled or heated air is moved through ducts running in the ceiling or under the floor to all parts of your home. Ducted air conditioning has a single compressor unit outside the house and the internal fan coil units are concealed in the ceiling or underfloor. The air is then forced through ducts to vents and into the desired room. What is a multi-head split system air conditioner? A cross between wall-mounted split systems and a ducted system. In most domestic applications, a single outdoor unit powers up to three indoor wall-mounted split systems. In other applications, the indoor units can also be a mixture of wall-mounted, ducted or cassette units. The result is a ductless system ideal for town houses, villas, units or apartments where ducting isn’t possible. Instead of using ducts, the outdoor compressor pumps compressed refrigerant to the inside unit through insulated pipes. What is a reverse cycle system? Air conditioning systems that provide cooling and heating using the same equipment. The heating process is literally the reverse of the cooling process. What size/type of air conditioning unit should I purchase for my North Sydney home? 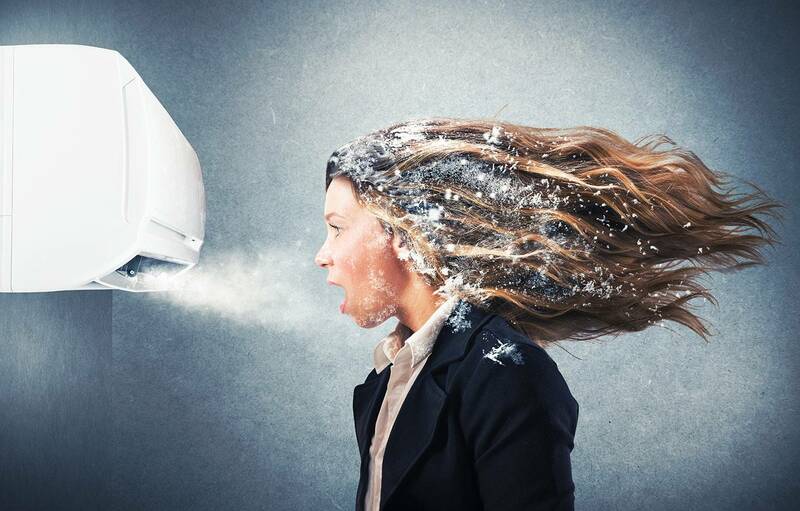 We can certainly help you with any air conditioning in North Sydney. When selecting the size and type of heating or cooling appliance it’s important that you not only buy an energy-efficient one, but that it’s properly sized and correctly installed. Our sales team at N3 air conditioning provide professional advice when making your decision on what is going to best suit your property. We service all suburbs in and around the North Sydney area. How long does it take to install an air conditioning system? It is usually best to allow approximately 3-5 hours for a standard split system installation and between one and two days for a ducted system, depending on the size of the unit and house. What maintenance is required on my air conditioning system? All air conditioning units require regular maintenance. They have air filters that need regular cleaning and/or replacement. The filters protect the indoor fan and coil from dust and dirt. The filter media in a ducted system should be replaced three (3) years. The outdoor coil does not have filters therefore the coil needs to be cleaned as well. This coil is much more accessible for cleaning and can be done with a hose. The filter in a split system should be cleaned every 3 – 6 months. The filter can be removed and cleaned with a vacuum or washed with a mild detergent and rinsed clean with water. The coil of the outdoor unit should be kept clear of any leaves, rubbish or debris, as this will reduce air flow and therefore reduce the unit’s capacity. Do I need a licensed technician to carry out the maintenance required? You will only need to have a licensed Technician to carry out the maintenance if you are unable to do it yourself. When we install a unit we explain the maintenance requirements. The advantage of having a licensed Technician carry out a yearly basic service is to identify possible problems, faults or deterioration of parts to avoid costly repairs and inconvenience. How Often do I need to clean filters? Each season and ideally they should be cleaned more frequently during the hot summer months. You should also clean the air vents at the same time. How frequently does an air conditioner need to be serviced? Every 6 months. While this may seem like a lot, split systems need to be checked for blockages and cleanliness to reduce the likelihood of breakdown or transfer of bacteria. Zones are sections in homes split during installation with separate ducts for each zone. This lets you cool or heat one zone in your home without wasting energy heating or cooling your entire home. The energy efficiency score of an air conditioner. The more stars, the more efficient the unit. Star ratings are given for the majority of our systems in the products section. Refrigerant is the gas used in air conditioners. R410A is the refrigerant used in most newer domestic air conditioning systems and is one of the most energy-efficient refrigerants with a low ozone depletion potential. The wall-mounted unit in a ducted air conditioning system that lets you vary the air temperature, fan speed, switch the system from heating to cooling, turn zones on or off and set the time clock. The cooling rating (power) of an air conditioning system expressed in kilowatts. The higher the number, the bigger the area the system will cool. The outside unit in split system air conditioning. It compresses and condenses refrigerant and pumps it to the inside unit (fan coil) through insulated pipes. What is fan coil or head unit? The inside unit in a split system air conditioner. This may be in the form of a wall unit, floor standing, bulkhead or ceiling cassette. Refrigerant passing through the coil causes it to cool. Air blown over the coil by the fan is chilled. The opening in the rooms of a ducted air conditioning system through which conditioned airflows. Vents are usually mounted in the floor or ceiling. The flexible tubes through which cooled or heated air is moved through a house in a ducted system. Ducts are usually mounted in the ceiling or under the floor. A specialised type of indoor unit that doesn’t require ducts. The outdoor unit is connected to the cassette unit, which is ceiling mounted by refrigerant lines. No ductwork is required. Cassettes are typically used in commercial installations where ductwork isn’t possible. What are ductless air conditioning? any system not using ducts; wall-mounted split systems, cassette systems and multi-zone/multi-split systems. What are inverter air conditioners? An inverter model means that the compressor is powered by a variable speed drive or inverter, which allows the compressor to run at a range of speeds from slow to fast, to match the output required. Most conventional compressors run at a constant speed and these types of units vary their capacity by switching on and off at different intervals. Inverters improve the performance and energy efficiency of air conditioners. What is an ideal temperature to set my air conditioner to? Most people find that a year-round temperature of 23 degrees is acceptable. This is the temperature at which most air conditioners run to the peak efficiency. How long should I expect my air conditioner to last? If the unit is the right size for your environment, and you routinely clean the filters and air vents and have the systems serviced once a year, then you should expect 8-10 years. First consider what you want to heat: your home, a room, or yourself. This will narrow your heating system choices down and give you an indication of how much you’ll need to spend. What is ideal heating temperature? Everyone is different when it comes to being comfortably warm in winter. How you heat a room should depend on what you use it for. For rooms, you are moving about in, such as a kitchen or hallway, 16°C will take the chill off. However, for rooms where you are still, such as lounges or offices, most people will be comfortable at 21°C. Always remember: the higher you turn up your heater, the higher your energy bill will be.